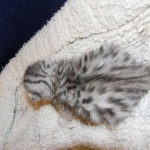 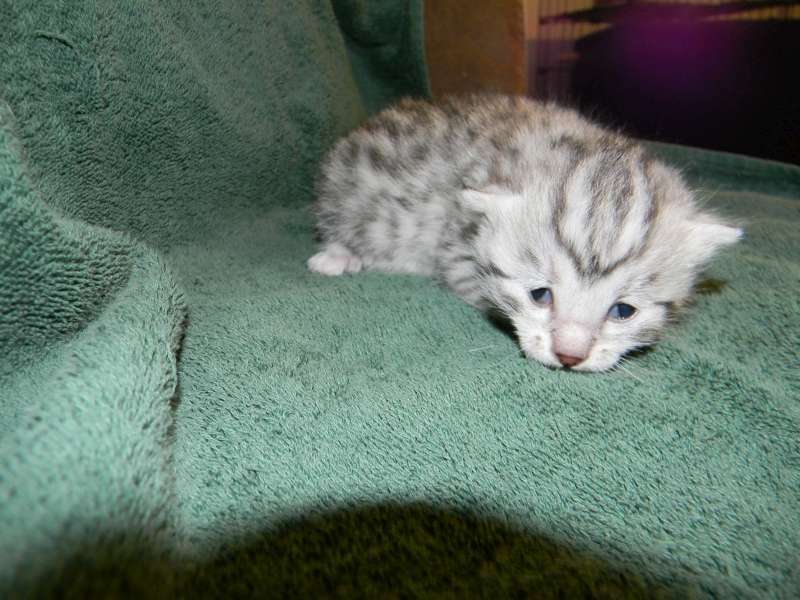 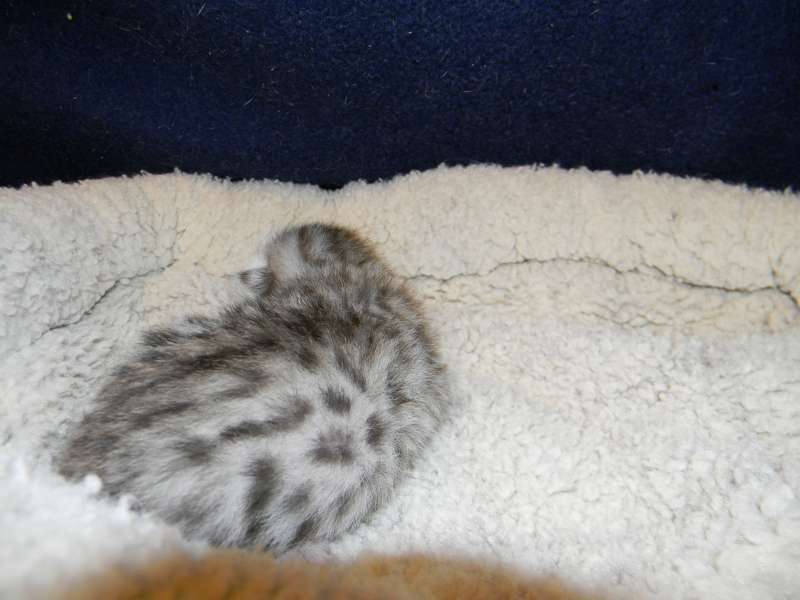 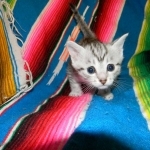 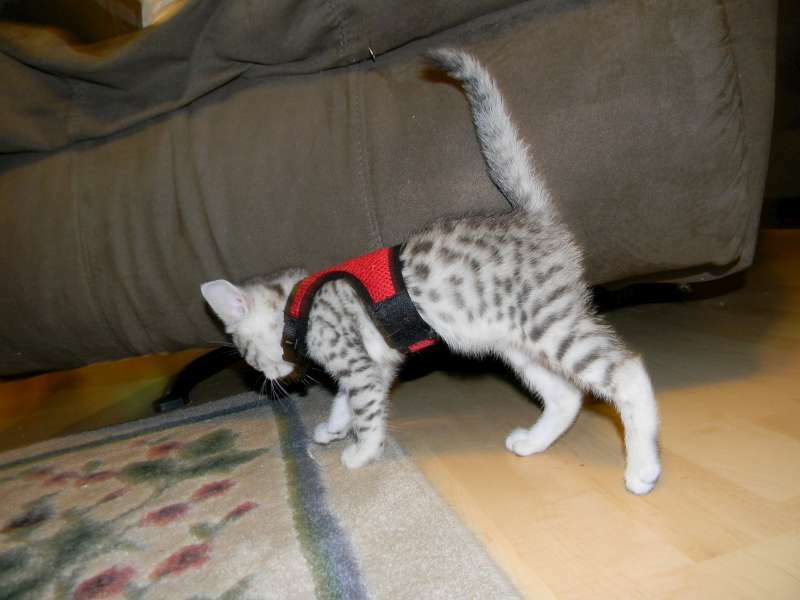 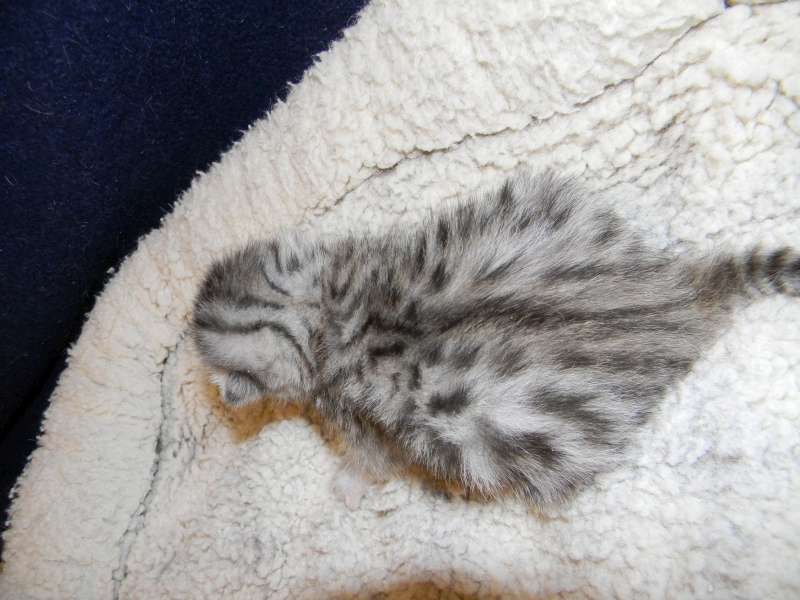 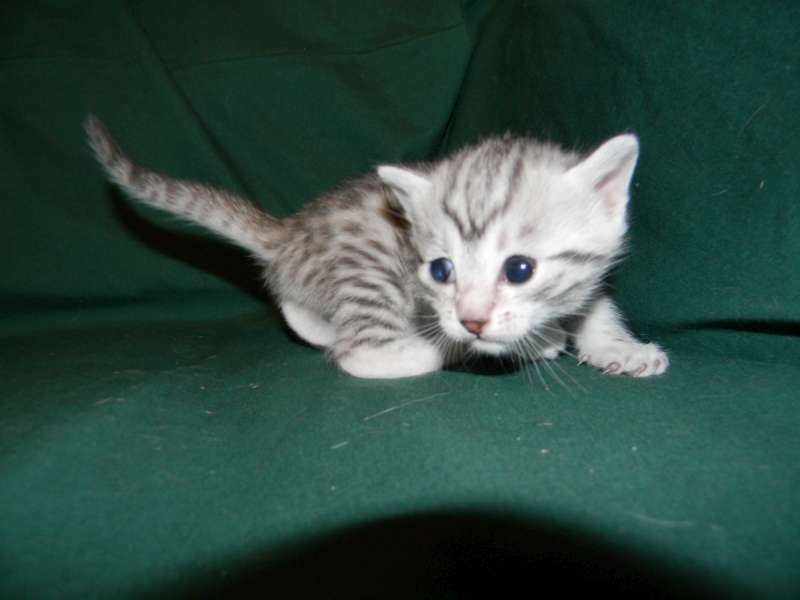 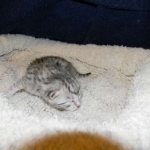 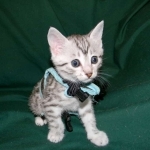 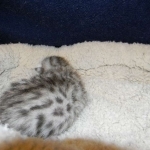 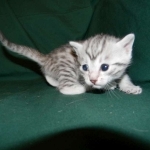 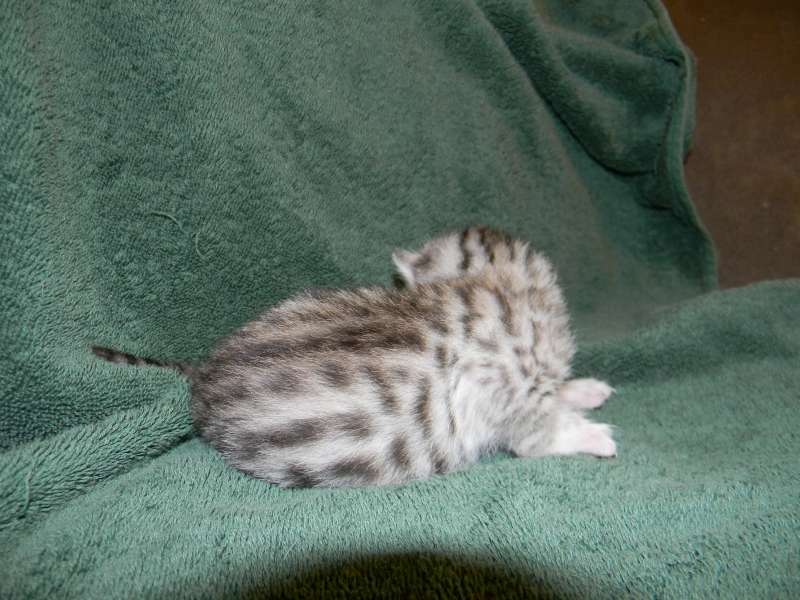 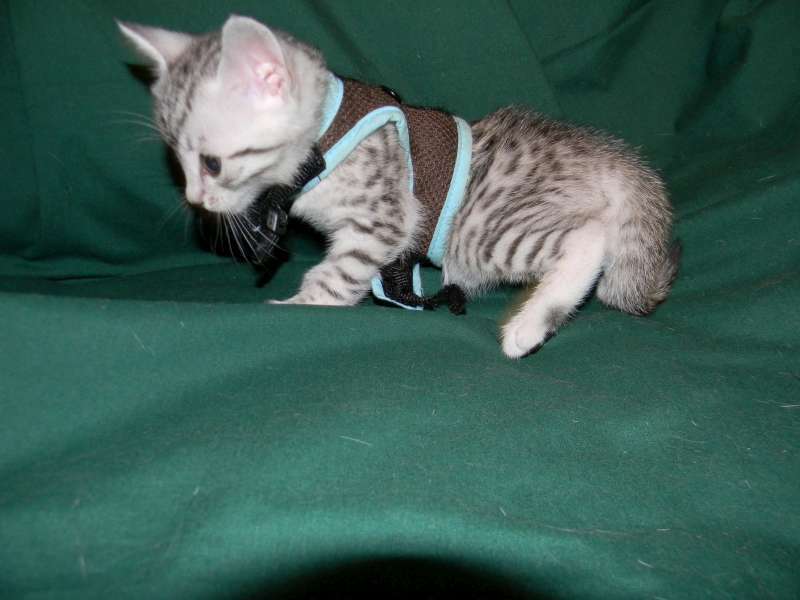 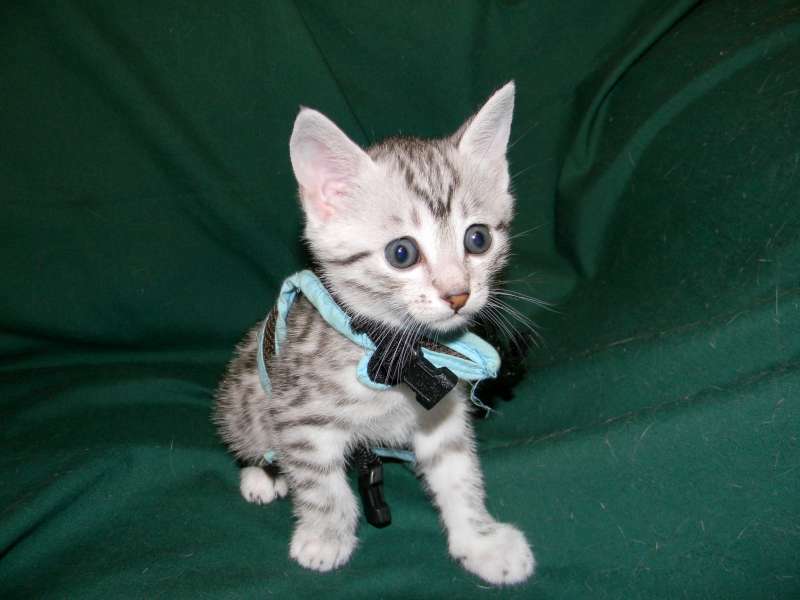 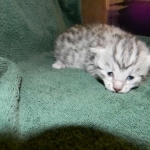 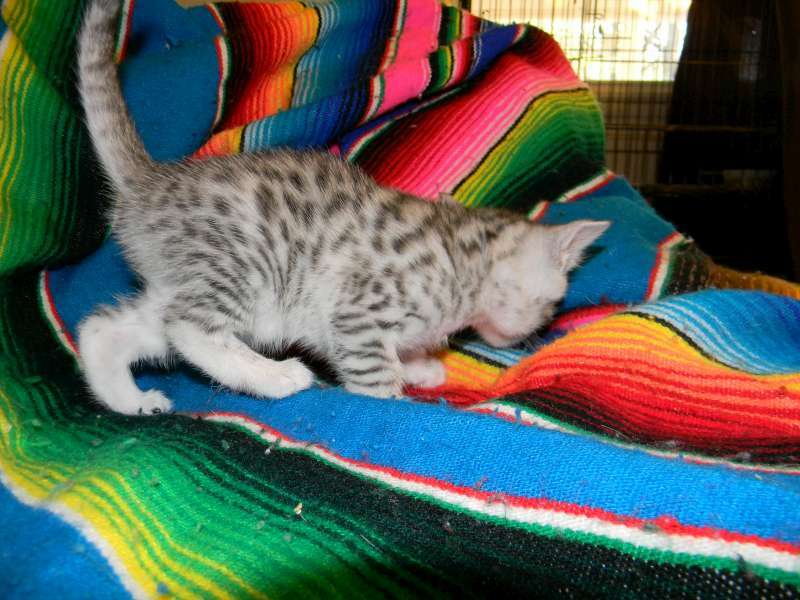 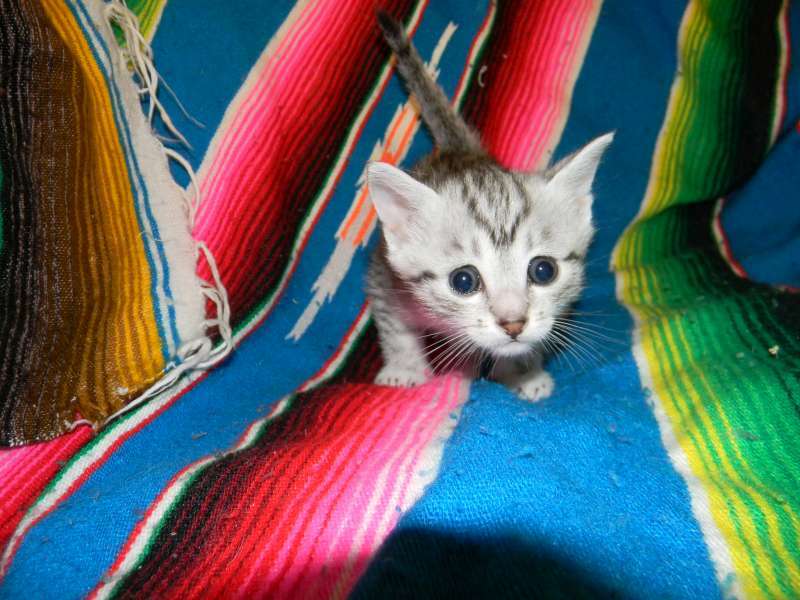 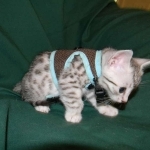 This Beautiful little Egyptian Mau girl will be going home with Ted and Leslie in IN. 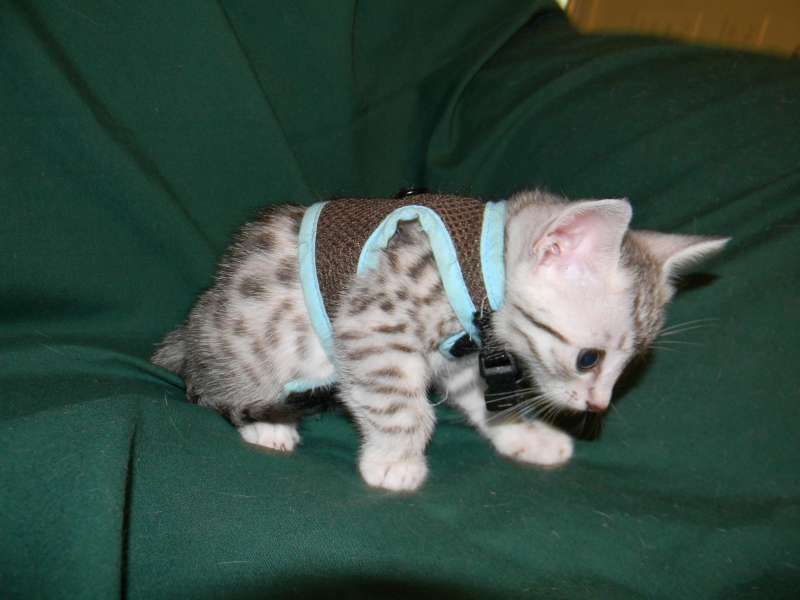 So tiny with so many spots! 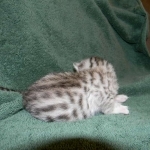 Stella is way to busy for Pictures! 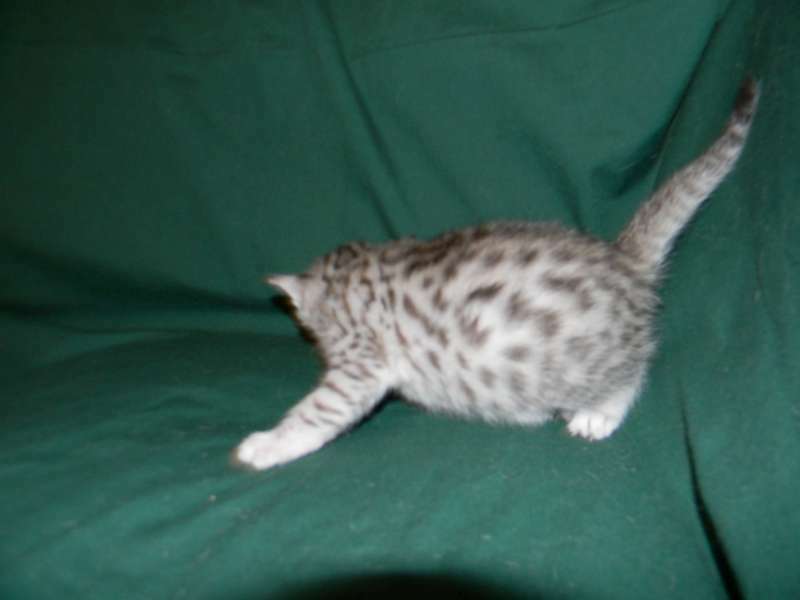 She has stunning big spots.